When my daughter first started on solids I scoured Pinterest to find baby food recipes. There was one site that I kept going back to, Nurture Baby. It is an awesome site with healthy recipes for babies up to toddlers. 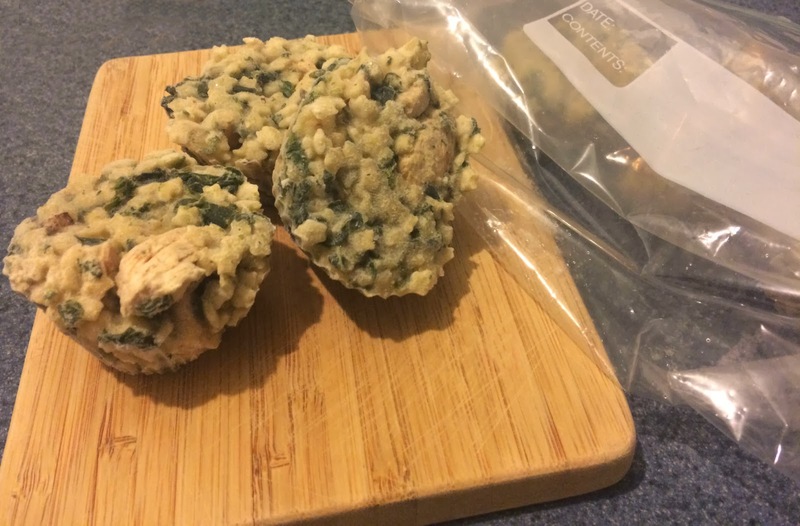 One of my daughter's favorite recipes from this site is the Creamy Chicken Florentine. The great thing about the site is the recipes have enough servings that you can make ahead and freeze for later. I would always have several completed recipes on hand in my freezer. If I was planning on eating out or something she couldn't eat, I had a healthy alternative in the freezer. I also used to pop a couple of the servings in a freezer bag and leave them in my mom's house so that my daughter could have a nutritious meal without my mom having to do any work. Click on the link and follow the yummy and easy recipe for the Creamy Chicken Florentine. I halved the recipe and it made 6 toddler sized servings. Completely cool the Creamy Chicken Florentine that you just made. Take silicone cupcake baking cups (I bought mine at Michael's) and fill to the top. For babies you can use ice cube trays. Place full cupcake baking cups on top of a cookie sheet. Place in freezer and freeze for about one hour. When fully frozen pop out of the silicone baking cups and place into a freezer storage bag. Label the freezer bag with name and date. *I cook it on low heat in a small sauce pan to reheat and serve after frozen. Mmm looks great! I love using cupcake or muffin tins for making single servings of food. I just made some crustless quiches this morning, that I'll freeze for quick breakfast foods. Looks delicous and I love that you can freeze them. All about that these days! That looks easy and yummy!! This looks good enough for grown-ups to eat! My daughter has toddlers, but I don't think she's ever planned her menus or cooked ahead. Might be easier for her. Thanks for the ideas! We still make and freeze individual portions -- and my kids are 19, 16 and 9. So much healthier and cheaper than ready-made frozen meals. The supersize muffin cups work well for bigger kids/adults. Yummy! What a great idea and perfectly portioned! That sounds good for adults too! Love the cute little muffin cups! I had not heard of that website. I am going to have to go check it out. Thanks for telling us about it. What a fantastic idea! I've made and frozen baby food before but I never thought to make and freeze reg. meals too. What an awesome idea!!!!! I am going to try these for my preschoolers! This is really interesting :). I always like to make fresh food for my son, but sometimes it's good to have a back-up, because you never know! looking yummy and delicious plus the pretty presentation. Wow, I agree some grow ups will enjoy this. I am going to try this recipe for my little one...Thanks for sharing! Thanks for a great pinterest tip. If I have another baby, I will use this for all it's worth. These are so cute! I have a two year old that might like this. He's starting to become picky, so I am focusing on presentation of his food more. This might help! Thank you! Thanks for the tips and for sharing the site. I'll check it out now. We have a 6 month old that's trying new foods now. such a cute idea! I love your silicone cupcake baking cups , so cute! Yum and a great idea! I need to do something like this for my twins, it would make our busy days so much easier. What a great idea to use silicone cupcake molds to make these! I love it!!! Thank you so much for sharing the tip this is a huge time saver. I like that you can make up a big batch and freeze and take out for later. Yummy looking dish! 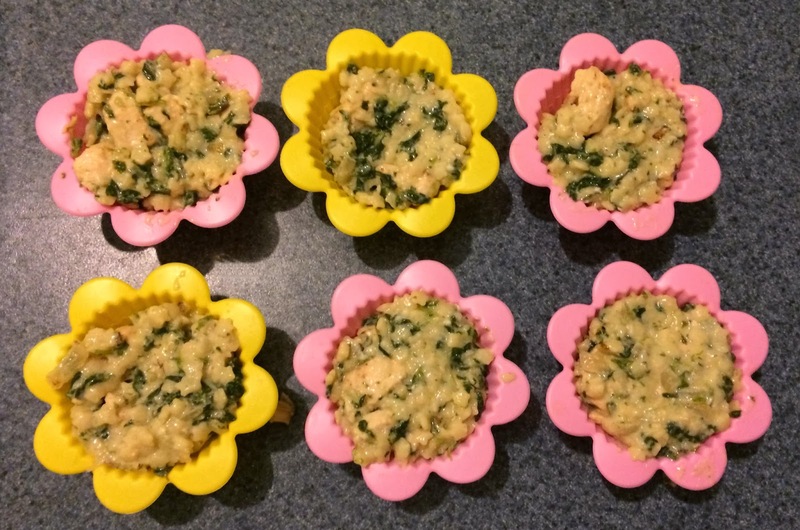 I hadn't thought about using muffin tins to pre-portion meals for little ones. This would definitely make life easier for moms and especially those with fussy eaters. Why does it have to be just for the kids.. it looks good for us too! Love this recipe!!! I think it's something my toddler would love! (And my boyfriend!) Thanks for sharing, will be adding this to my recipe list! This is a great idea for when my youngest (3 months old) is a little bigger! I think she'll enjoy getting to have homemade food more often if I get some of these little muffin cups and freeze things. Thanks for the idea. What a tasty-looking way to introduce a little one to different kinds of foods. I believe it is important to expand the palate of kids at a very young age so that they eat healthier as they grow up. That looks really good. Not just for toddlers! My kids might just go for it . This is great. Can make a bunch for quick meals for the whole family! Love it! I'd just spice it up for the rest of us. They came out so nice looking in the cups. I think visual appeal means a lot to the kids, I know it does to mine. If it doesn't look good, they're not touching it. Well done! I love the baking cups and to be honest until now have never even heard or seen them so small... I need to get out more! What an incredible recipe! I wish I had done this when my son was eating baby food! Great idea! I wish I would have thought of these things when my daughter was little. That looks really good. I'd love to try this recipe. What a great idea.... I have been searching online for ways to make food for my little one. Thank you so much for sharing! Wish this recipe would have been around when my boys were little ones. These look really yummy and I LOVE those baking cups! Your Chicken Florentine recipe looks yummy. Thanks for the great food storage idea. I have been trying to cook once a month and fill up my freezer, but storage has been a problem. My kids sometimes eat in shifts so I need individual portions. Great idea, thanks again. Thank you for sharing that great website, Michelle! It's always nice preparing good food to your kids especially when they're just starting to eat solids. They'll be trained to eat healthy food and hopefully, will not be so picky later on. These look delicious! Thanks for sharing, i'll have to try! This is a perfect hot lunch for any age! Definitely going to have to try it out. 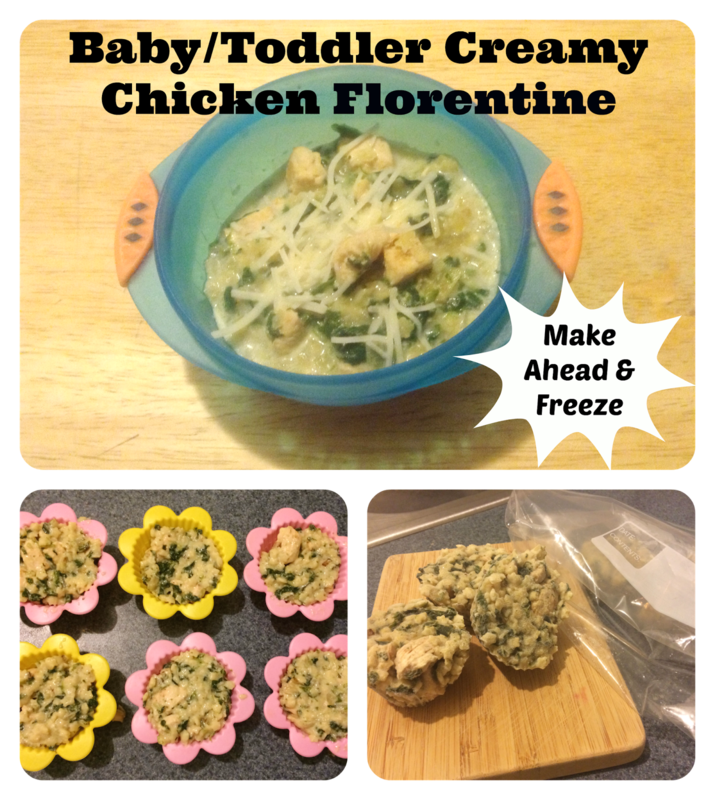 I love the idea of freezing meals ahead for my toddler! I wish I could have found recepies like this online when my son was little. I was sometimes quite desperate to invent new things for him to taste and like. OMG!!! I Never Thought To Do This What A Great Idea & Sounds Like A Delicious Recipe!! !